Trolley hire available. Practice facilities and catering. A very nice course with some lovely holes pity about the greens, which are awful sandy and awful wet. I think that this would be a good course to play in the summer. As a member of the golf club I know it very well. it's a very easy, open golf course with wide fairways. 3 of the par 5's are well within reach with a good drive and a long iron. Most of the par 4's are reachable with a good a drive and a wedge. The par 3's are a good test with the 9th being an intimidating shot over the lake. With good quality fairways and nice greens during the summer it is an enjoyable course to play. Avoid it during the winter because it gets very wet and muddy. Winter mats are used for about 6 months in a year. The bunkers are of a particularly poor quality but with the new Clubhouse, the history of being one of the founding clubs in the G.U.I. and the associations with Darren Clarke it is well worth playing. 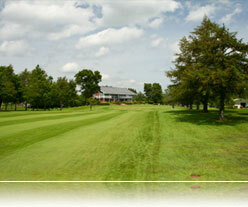 Good value green fees offered and a well stocked golf shop. Excellent car parking facilities but it lacks any practice facilities except a putting green.